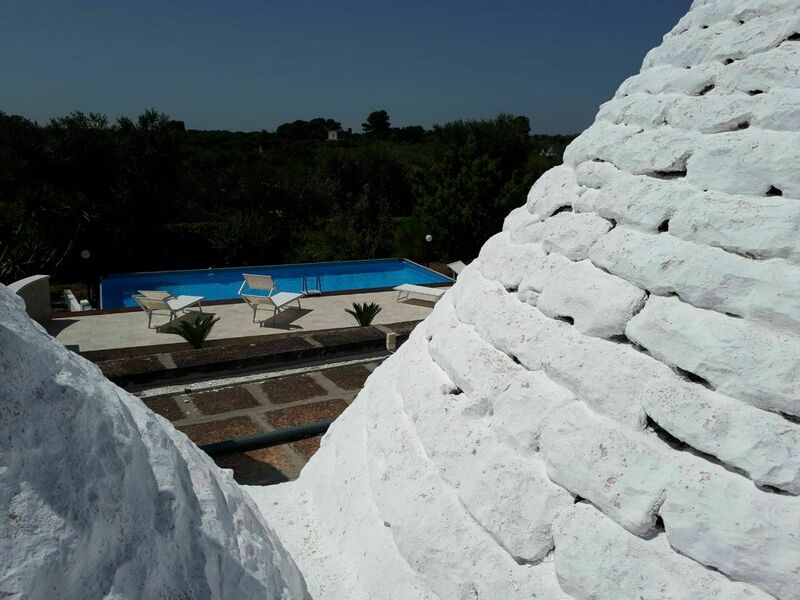 Conveniently located near Ostuni, Italy in the tourist area "Salento". 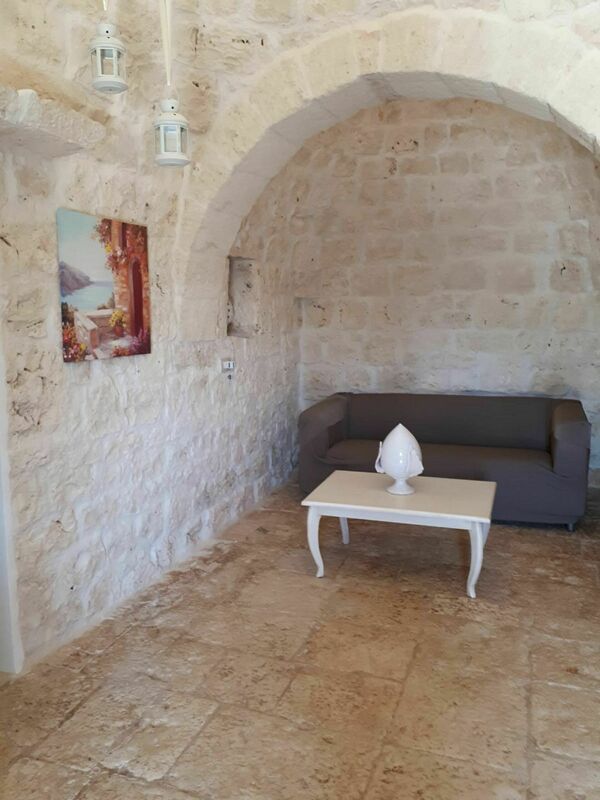 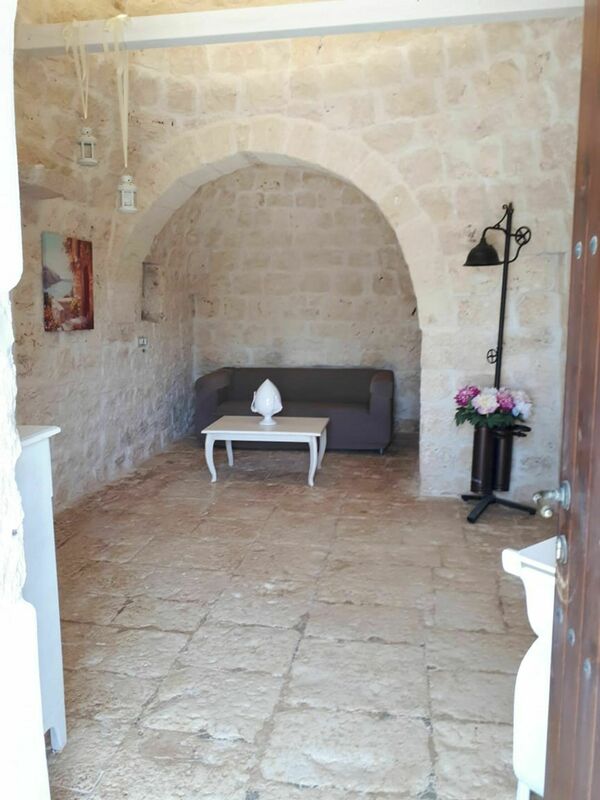 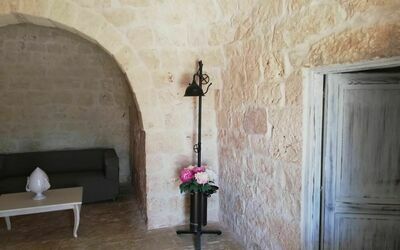 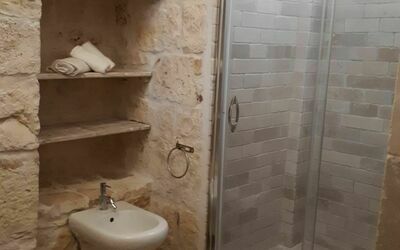 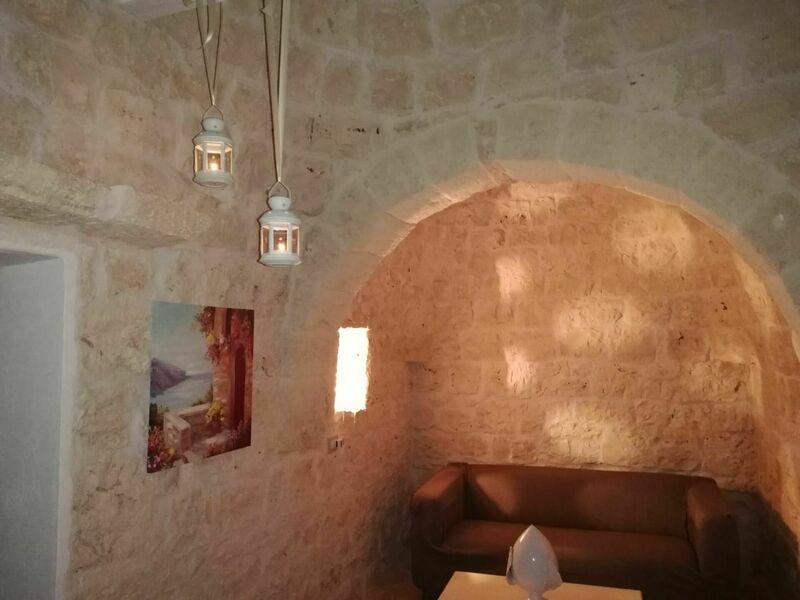 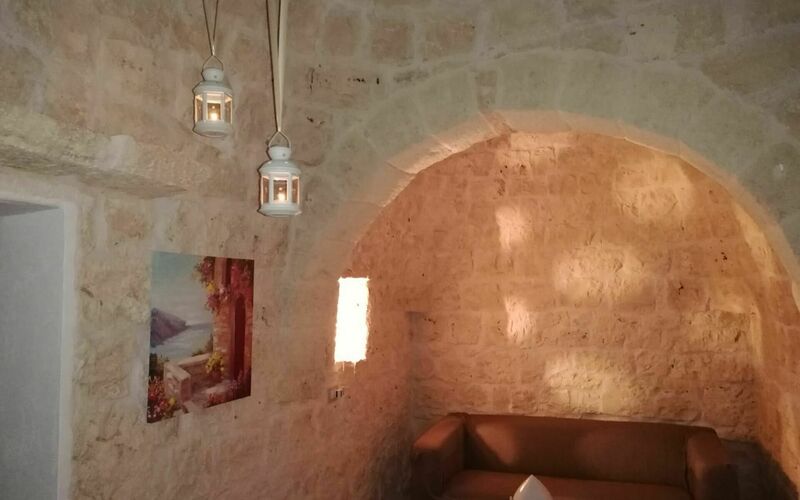 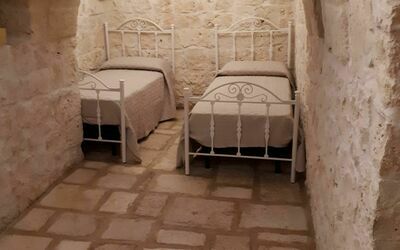 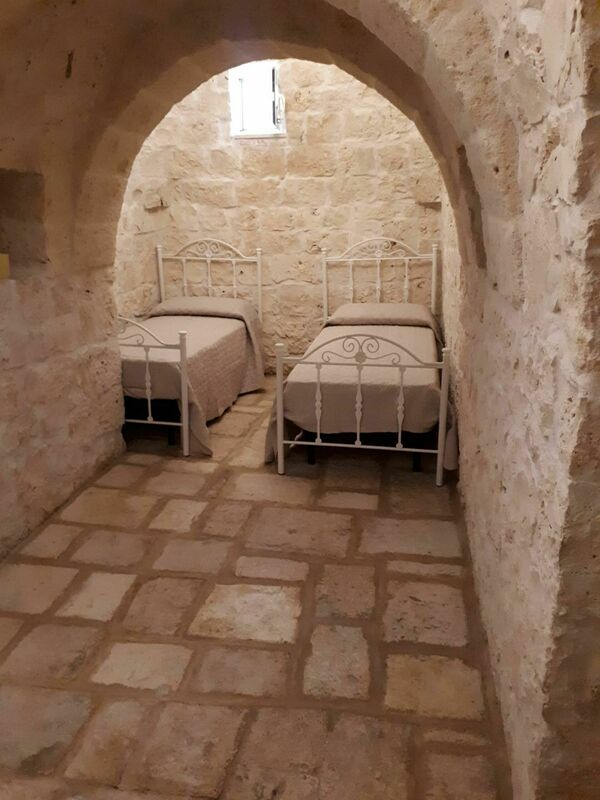 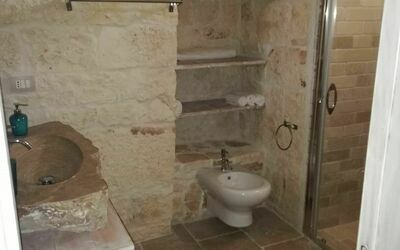 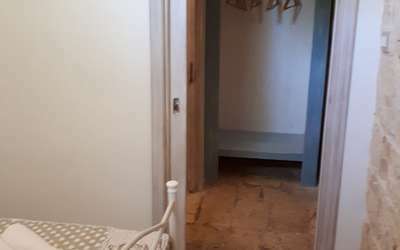 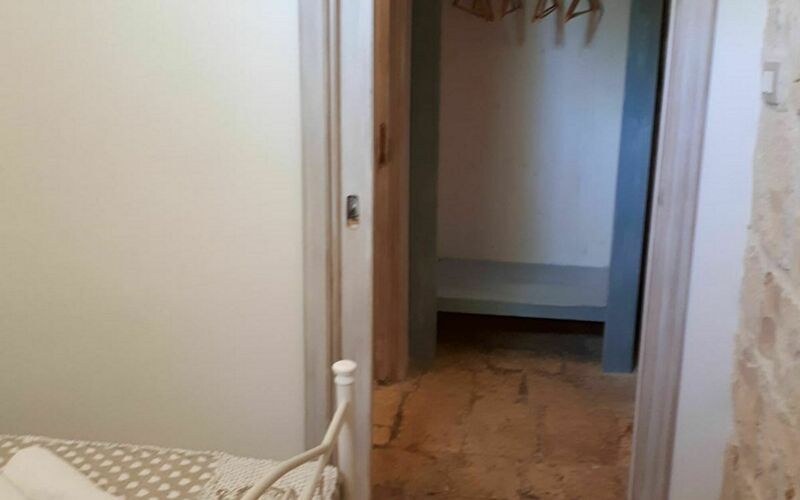 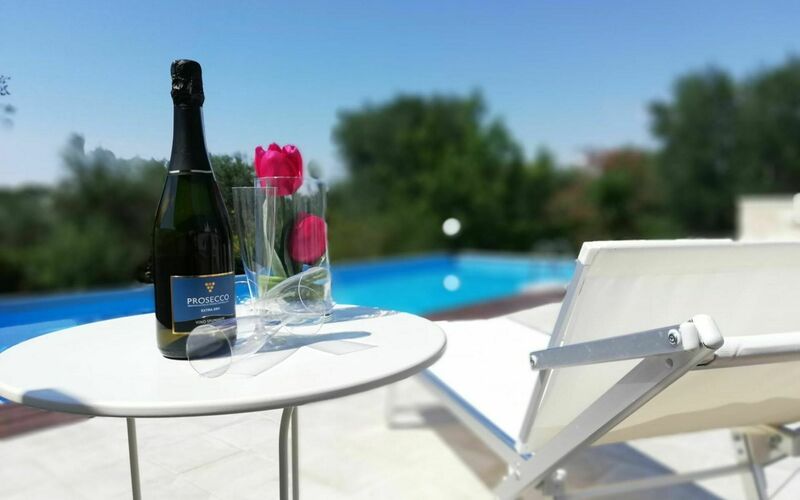 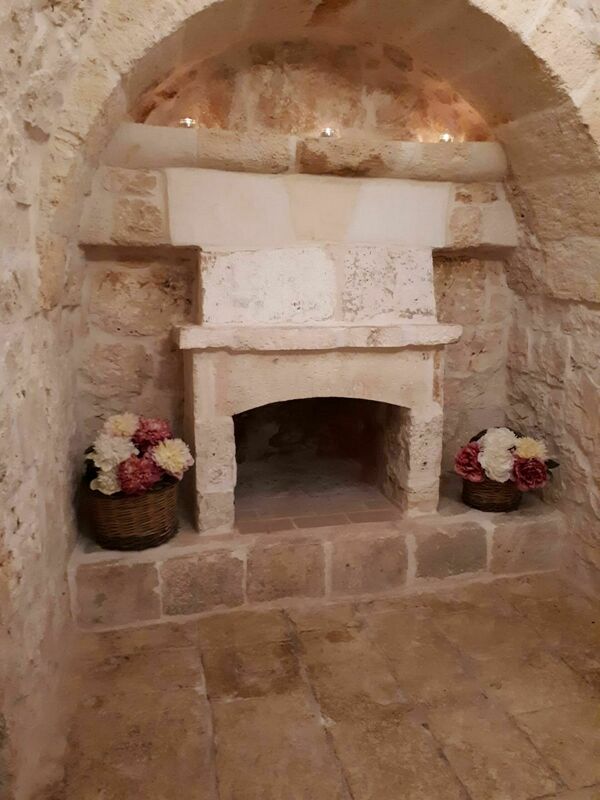 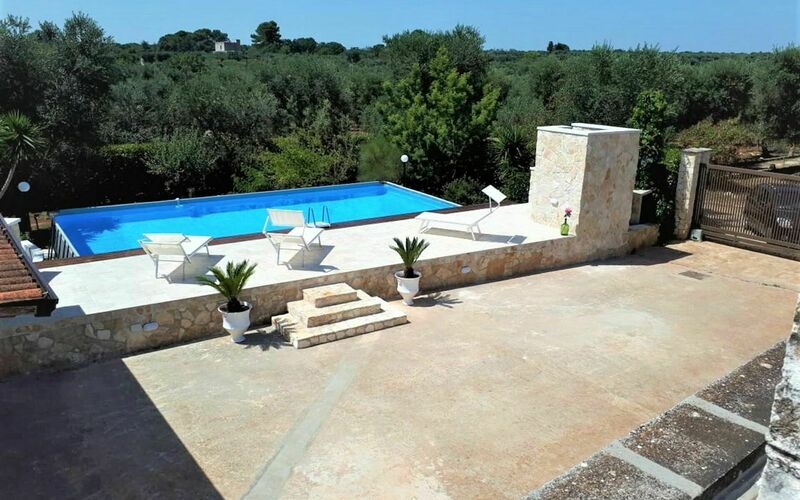 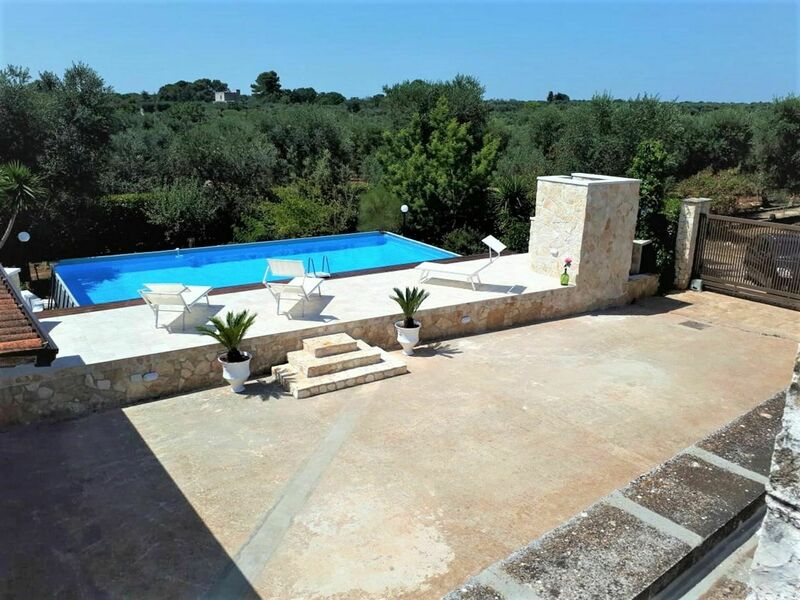 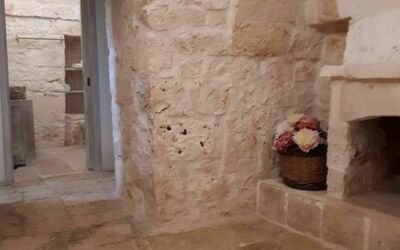 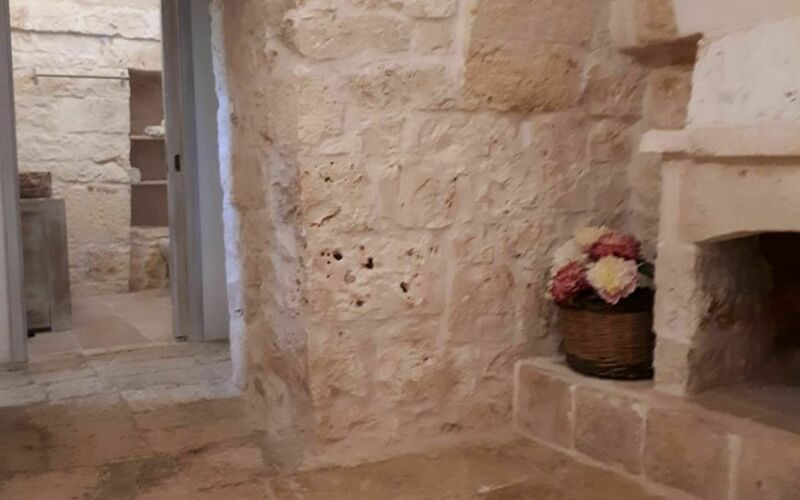 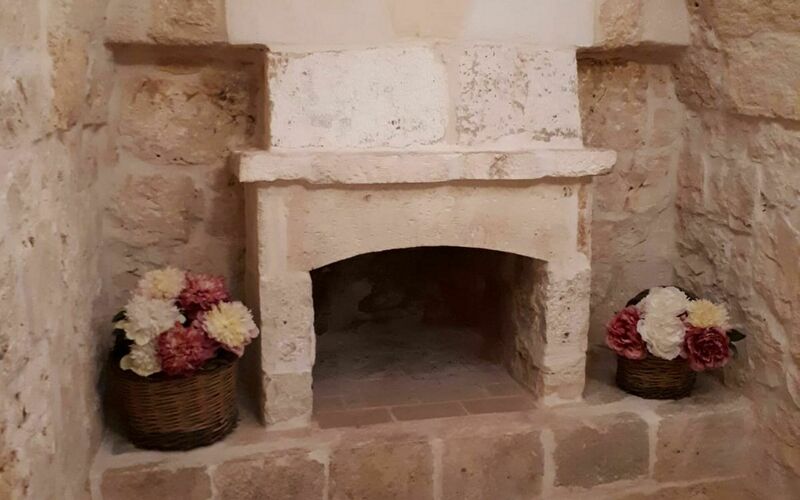 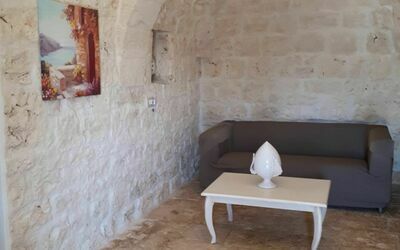 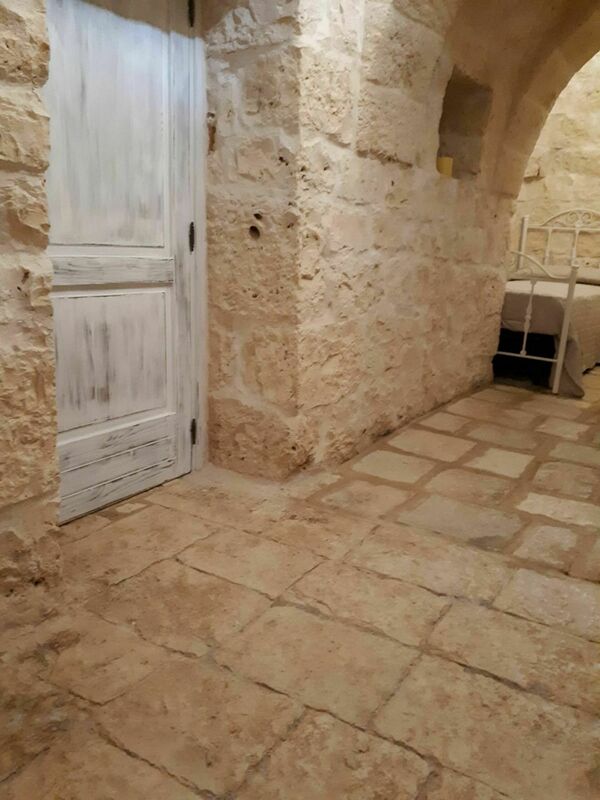 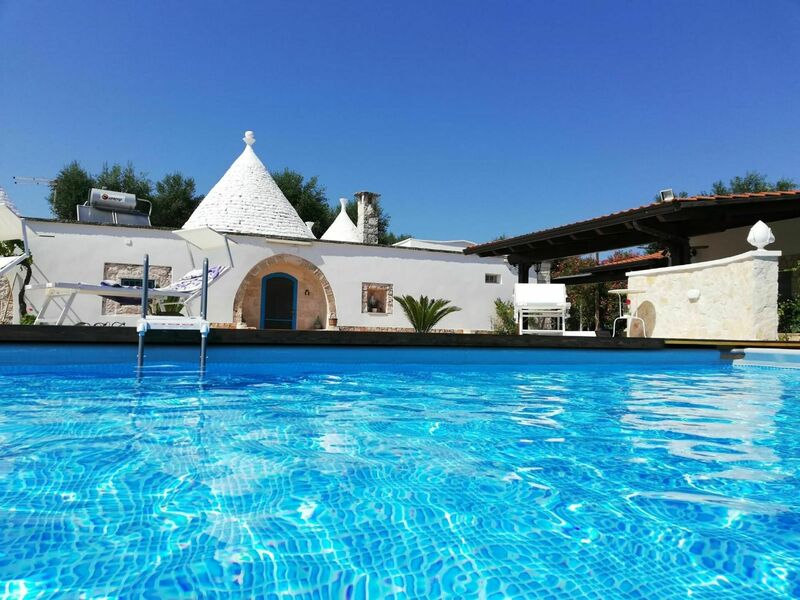 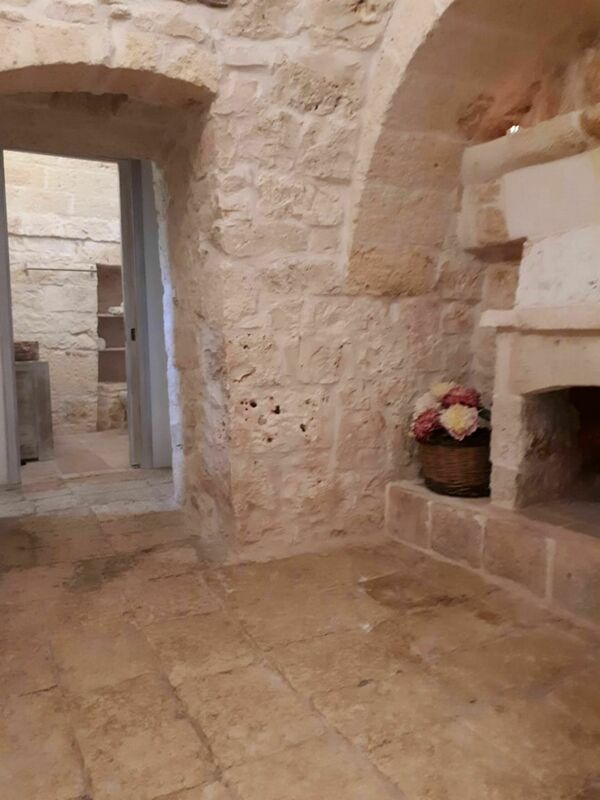 Vacation rental Trullo Isabell is a beautiful property (100 sq m) that includes private pool, WiFi internet and air conditioning. 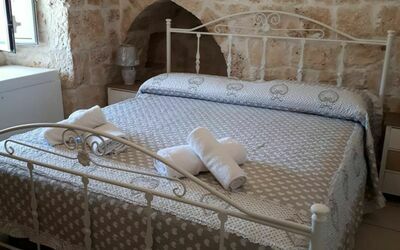 The property can accommodate up to eight guests comfortably in three bedrooms with two bathrooms. 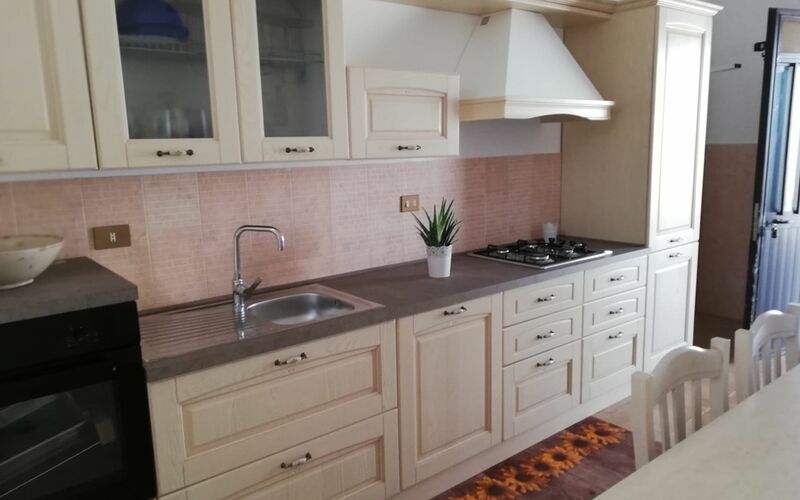 In nearby towns there are local shops where you can find fresh produce and other items, but if you need a larger shopping center there is one located only 18 km (11 mi) from the property where you can purchase food and essentials. 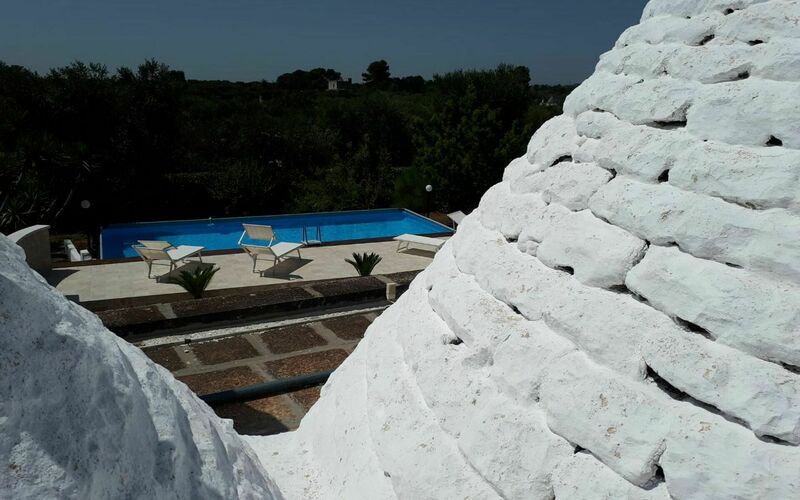 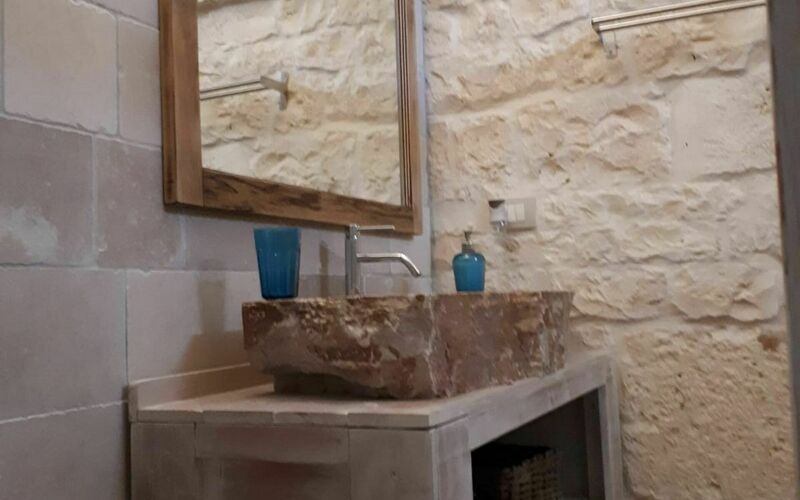 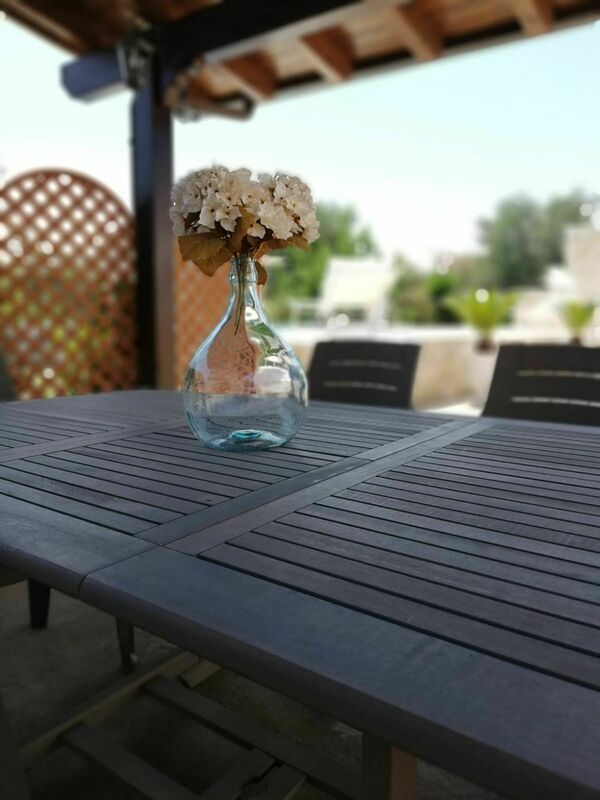 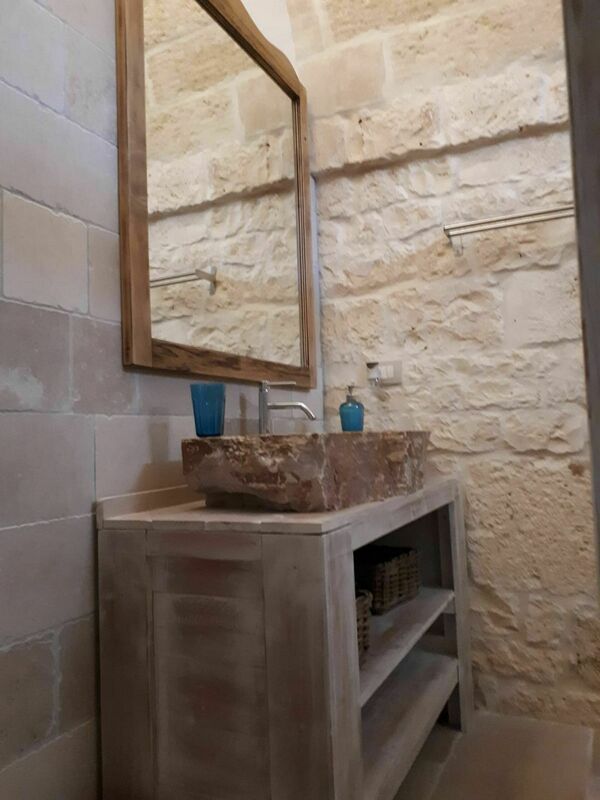 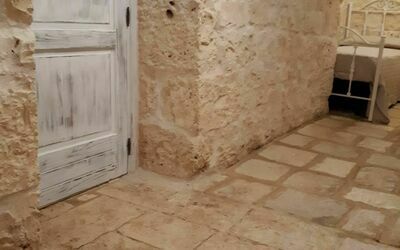 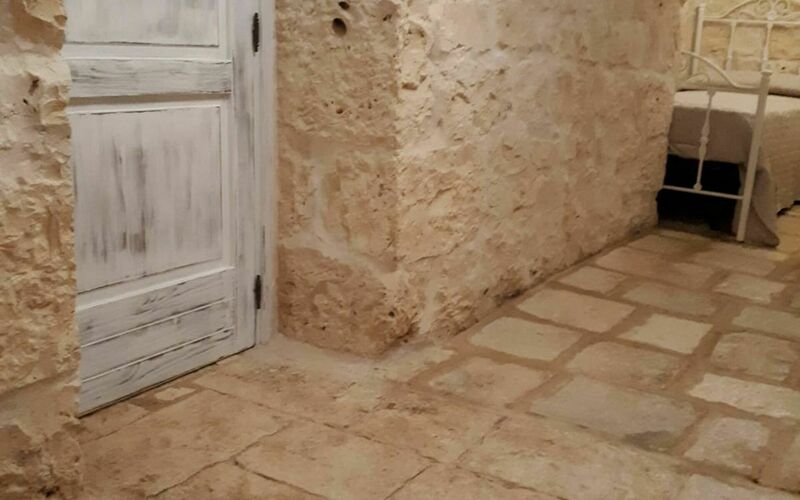 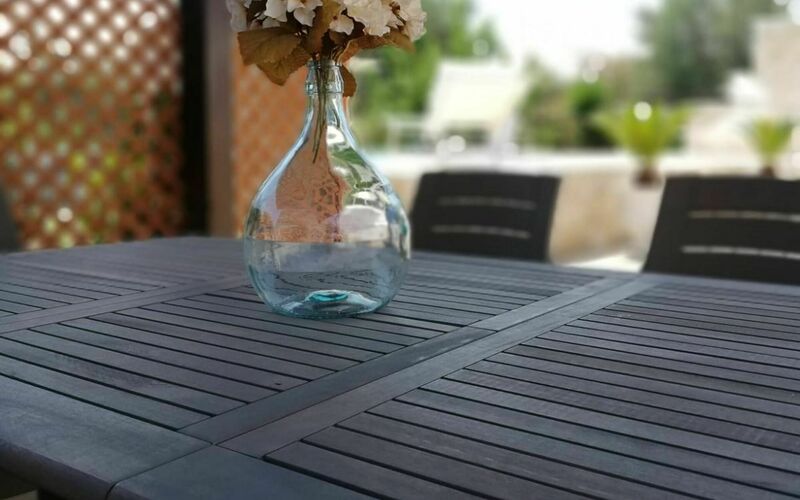 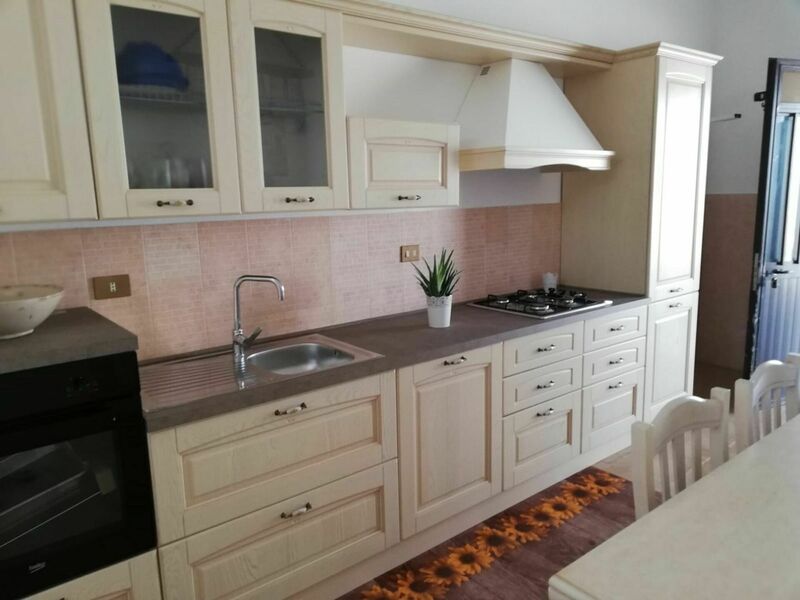 After arriving you’ll find a beautiful clean well-maintained property perfect for a peaceful vacation in Apulia. 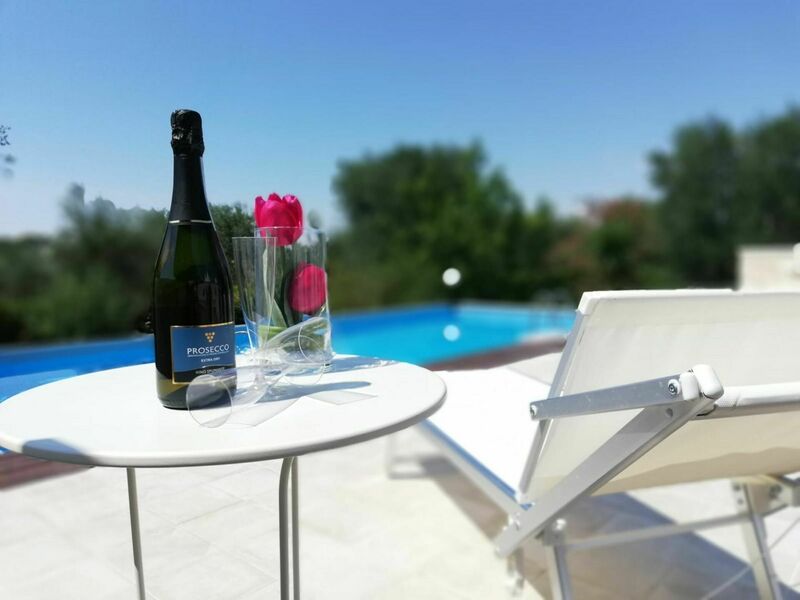 After a busy day of shopping, spend some time with friends and family poolside enjoying a glass of wine - a perfect way to unwind at the end the day. 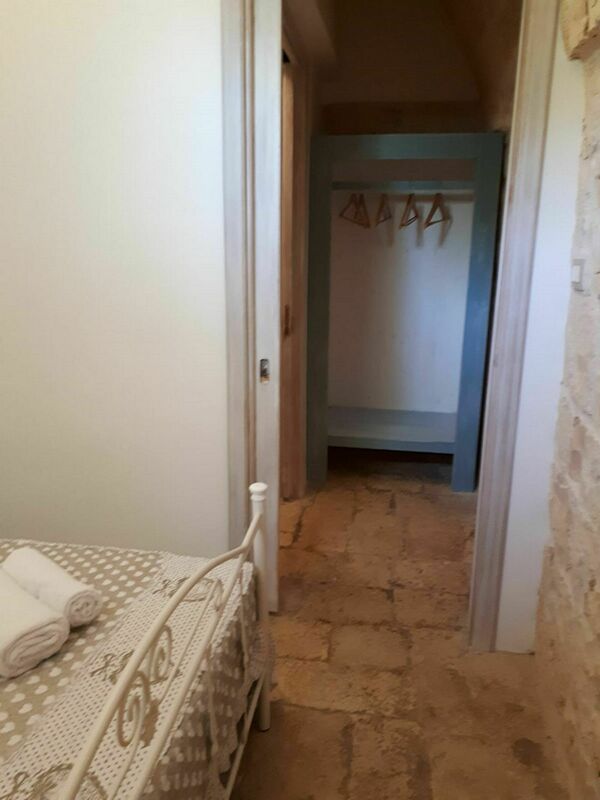 It's very convenient to have a washing machine on-site that is available for your laundry needs. 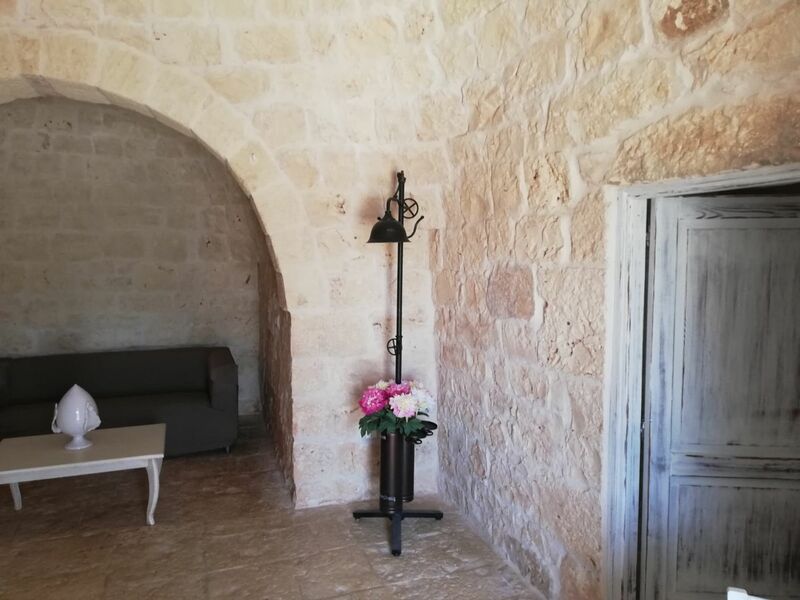 There are many close-by cities and towns that you can visit while on vacation, each one with its own history and culture that you can enjoy during your visit. The highway is only 49 km (30 mi) from the villa and there is a train station 11 km (7 mi) away. 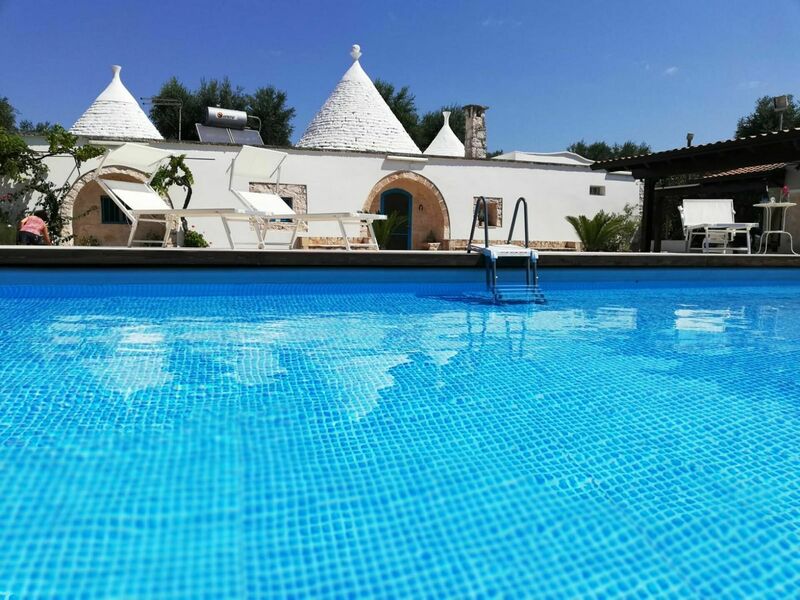 If you'd like to visit the beautiful Italian coast, it's just a short driving distance to the sea from the holiday rental, only 15 km (9 mi). 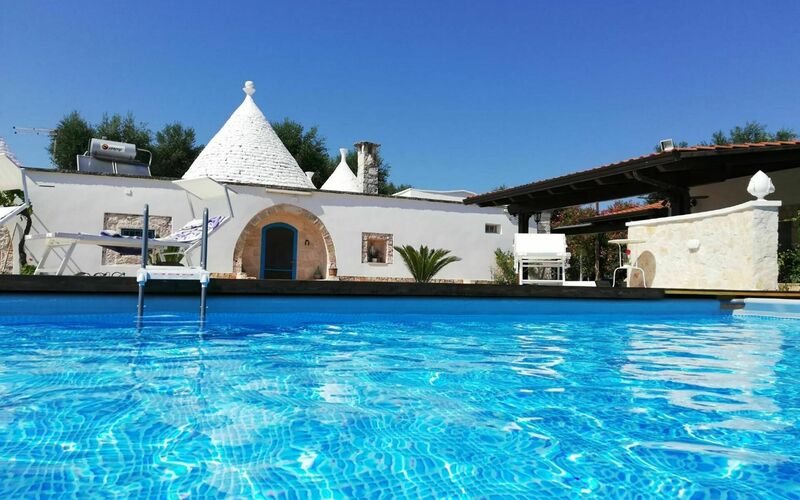 Nearest Airports: Roma Ciampino (Cia) 518 km (322 mi), Catania (Cta) 542 km (337 mi), Roma Fiumicino (Fco) 542 km (337 mi) and Palermo (Pmo) 688 km (427 mi). Including: kitchen + living room, 3 bedrooms, 2 bathrooms. 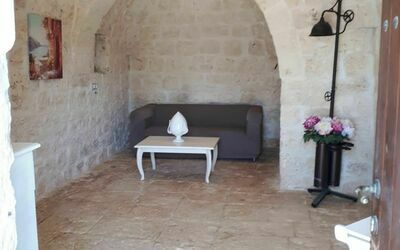 Kitchen + living room: sofa bed double. 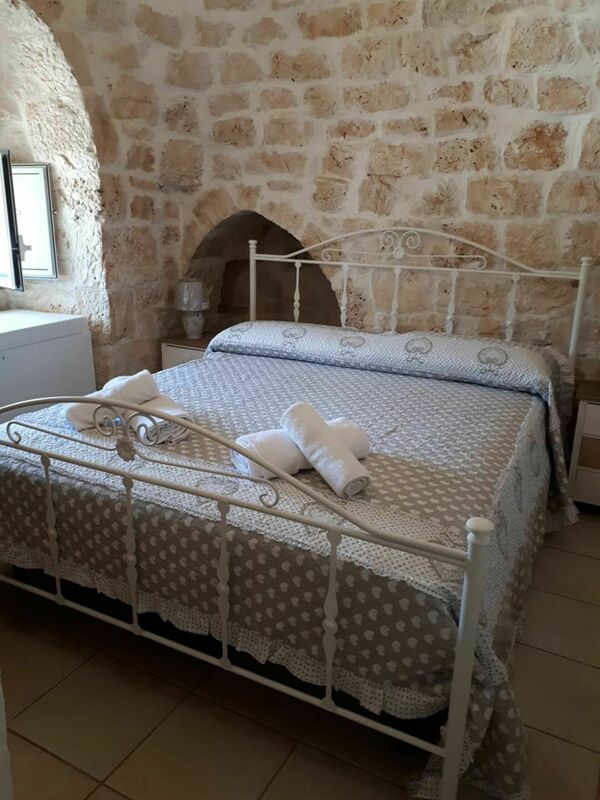 Bedroom 3: two single beds. Bathroom 1: basin, toilet, bidet, shower. 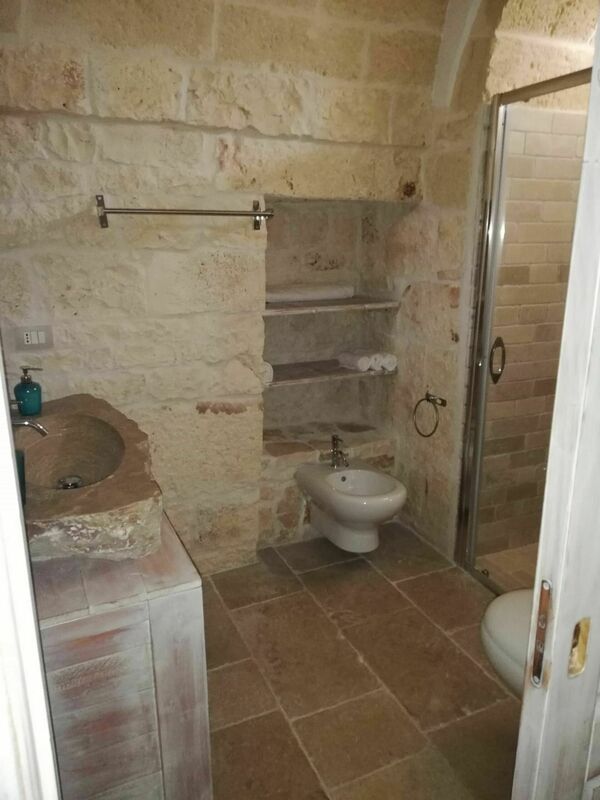 Bathroom 2: basin, toilet, bidet, shower. 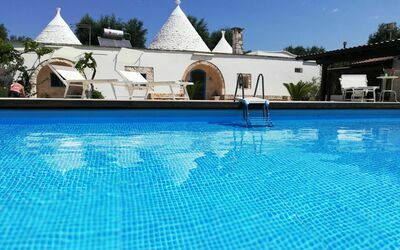 Garden: swimming pool (width: 5m, length: 10m, max. 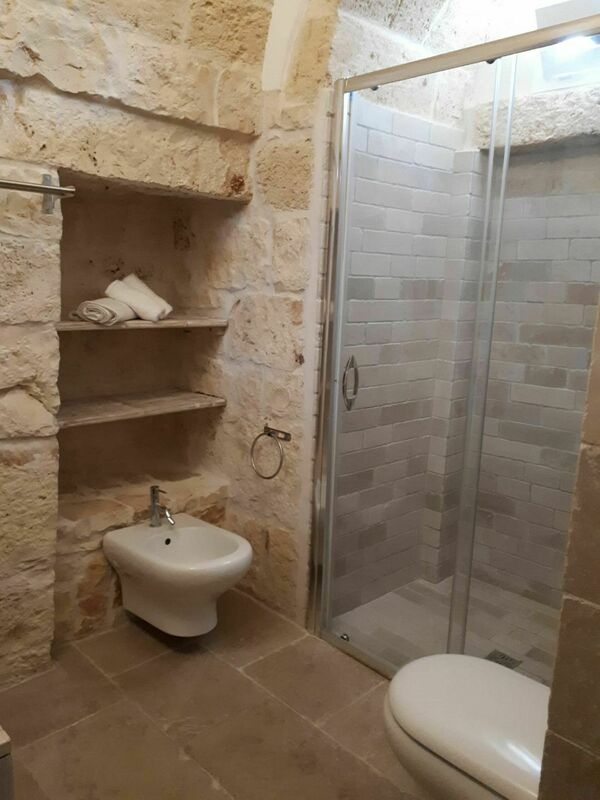 depth: 1.3m), shower, WIFI internet, dining table (people: 8), gazebo, garden furniture.